Forty three years after falling into disrepair, the Thames Lido has been restored to its former glory. Forty three years after falling into disrepair, the Thames Lido has been restored to its former glory. Believed to be the oldest surviving outdoor community pool, the Thames Lido in Reading was first opened to the public in 1902 as the Ladies Swimming Baths. 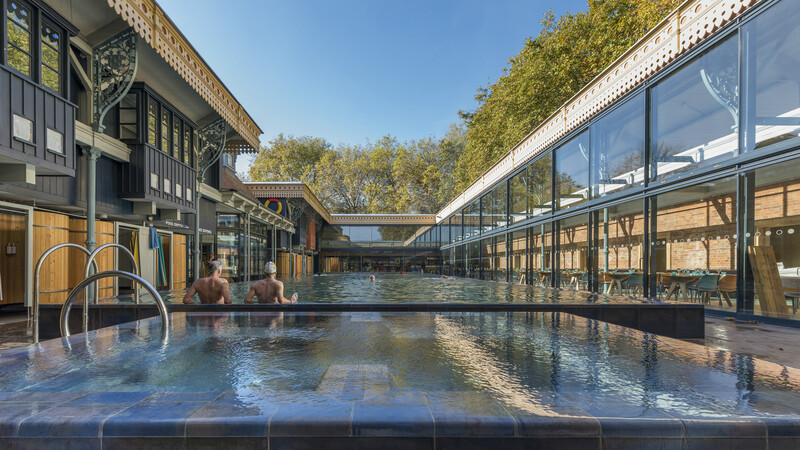 The site was left derelict in the 1970s, but in 2013 the award-winning team from Lido Bristol were given the chance to redevelop and restore these Grade II listed baths into a spa, pool and restaurant. The brains behind the redevelopment were architects Marshall and Kendon, who also restored the Clifton Lido in Bristol. They were charged with bringing the Edwardian baths back to life, whilst retaining the signature Lido style that the team had become celebrated for after their superb work in Bristol. Work began in 2014 – the abandoned building required substantial repair, as much of the existing timber and brickwork had been damaged by years of water ingress. On 30th October, 2017, the Thames Lido opened its doors to let the first excited swimmers through, and did not disappoint; the facilities are housed within the original building, whilst the kitchens and a function room have been placed in a new building to the west. The refurbishment also required significant alterations – to accommodate the changing rooms and restaurant, the poolside is now enclosed. Meanwhile, rainwater is collected in underground tanks to reduce water usage and costs. “The pleasure of working with the remarkable team set up by Arne Ringner is tempered with sadness as the project nears completion,” Sam Kendon of Marshall and Kendon said. “We all hope the new clientele have as much fun using Thames Lido as we have in creating it”. 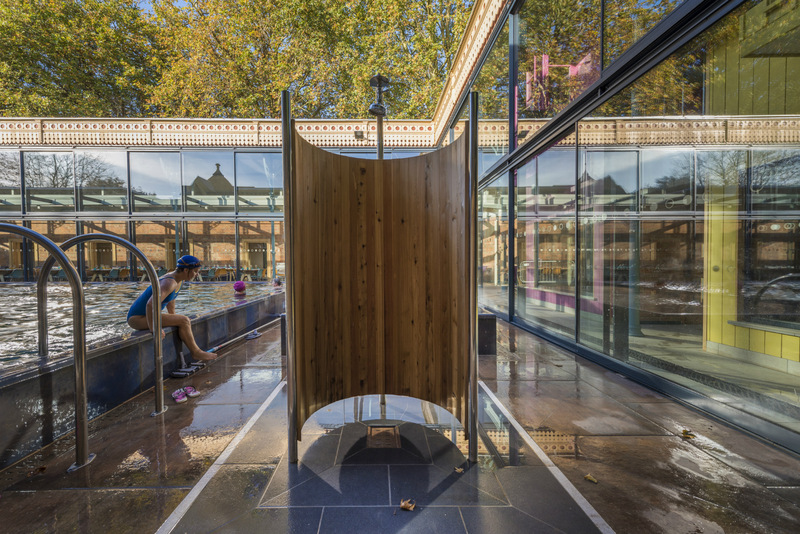 The restored Edwardian baths now feature a stunning twenty-five metre outdoor pool which will be open all year, seven days a week – but swimmers shouldn’t worry: the heating has been turned on, and the saunas are just around the corner!